How? These three letters Man, are they simple, yet so incredibly complicated at the same time. The “how” of your business is the strategy by which you plan to achieve all of your lofty goals. And while we all know we need this strategy, the plan, answering this little question “how?” is elusive to most founders. How? Sounds simple enough, and there is always at least one simple answer to it. But that’s a throw away answer, what about the hard answer? What about the “how” behind the “how”? It’s so easy to wave off probing questions about “how EXACTLY are you going to do that?” from team members, cofounder, and mentors. But when you get in front of the highly scritinous eye of the potentia investor, you cannot shrink from this question. You cannot toss it away with a “we’ll figure it out.” The success of your entire business are on the line. And not just in your funding round, you need to know the answer to this questions as much as your would-be investor does. The absolute, hands down best go-to-market strategy is the one that is going to be the most effective. It is the one that will allow you to reach and exceed your goals & revenue targets at the lowest possible cost to the company. The problem is figuring out ahead of time what that is. The saying “there is more than one way to skin a cat” comes to mind. There is way more than one go-to-market strategy for any given company. There are a lot of paths you could take and things you could throw money at from a marketing, sales, and general customer acquisition standpoint. Your job is to decide on what is the best one for your company. Move forward with it, test it, and iterate to make that strategy better overtime. The absolute worst go-to-market strategy is one that has not been well thought out. It;s the one that you threw together last minute or came up with on the fly when someone asked you the question “how?” for the first time. The worst strategy is no strategy at all. Another really bad go-to-market strategy for acquiring customers is: we’ll throw a whole bunch of money at various marketing channels. Why? Because it’s the most expensive strategy. Investors do not what to hear how you’re going to spend all of their money plastering peoples screens with your brand message. Sure some of the money will be used for marketing more often than not, but not all of it, not most of it, not the majority of it. Why invest in you when it’s the marketing $’s that will actually be getting the customers? What do you even bring to the table then? They will ask. So what is your plan to get the customers in the door and out of it having spent some of their hard earned money on what you’ve built? You have an idea, an MVP (minimum viable product), maybe you’ve launched it already, how will you get people to buy it, and more people to buy it, and more people to buy it after that? There is that little word again “how.” No mater what stage you are at you need to plan your next steps to getting and retaining customers. I am going to get 1000 customers. I am going to convince them that this is what they need. I am going to share my brand message and market to them. I am going to have digital ads that the customers click on. We’re going to put content in those ads that they resonate with. We’ll ask previous customers to provide their input and feedback. We’re going to build a referral and engagement program right into the product/service itself. And repeat with a different premise and go down a different rabbit hole. Throw in a few Whys” for good measure to make sure you’re still on track with your company vision and goals. What relationships can I leverage to get access to more customers? What is viral / share-able / exponential about what I am doing that can spread the message further than marketing dollars alone? Where are my customers at already? Where do the already go / meet? Who do my customers listen to? What makes something travel by word of mouth in my industry? What partnerships could give me customers now? How do I see more to my existing customers? What strategies have worked well for similar businesses in different industries? What strategies have worked well for businesses in my same industry? What strategies have not work well for other companies like mine? What about my product already makes it sticky? How do I overcome the switching costs for my customers? Once you do land on the right go-to-market strategy, how do you lay that out effectively for your audience in a investor deck. That’s a tough “how” too! There are many ways to do this, and they all depend on factors like where your company is in your lifecycle, what the specific strategy is, and what kind of funding you’re looking for. If you’re early stage, then this can be a simple series of strategic actions you plan to take in various categories like Marketing, Sales, and Customer Retention. If you’re a bit more mature or looking for VC money, this plan should be more detailed, and you should be able to outline how successful you have been with it so far. Some good metrics to gather and share: CAC – customer acquisition costs, CLV – customer lifetime value, MAU – monthly average users if your company is a tech company or the like can be valuable as well. Laying out the plan across a timeline can be beneficial as well. The order in which you will d things, and what goals you will seek to achieve at each of those milestones. These can be important considerations when putting together this oft overlooked pitch deck slide. It’s tied very closely to your financial projects and your use of funds slide, so make sure that you’re not avoiding answering this question lest you lend less credibility to the rest of your pitch as a whole. If you have any challenges laying out your pitch deck in a professional and effective way, or need help with making sure your go-to-market strategy is clear, we can help. Reach out to us today about our customer pitch deck design and pitch Review and Coaching services.  Pitch Deck Fire is a company of business minded designers and design minded business people to help you tell your startups story.